Michel Barnier, Juncker’s competitor within the centre-right European People’s Party (EPP) for the presidency of the European Commission last year, has been named special advisor for defence and security policy by his old rival. The new role for the former Internal Market Commissioner will be to advise the European Commission, and particularly Eu foreign affairs boss Federica Mogherini, on questions of security and defence. In a statement published yesterday (17 February), Jean-Claude Juncker said that “Michel Barnier has vast experience in the field of defence and security and is the right man to advise me and also the High Representative and Vice-President Federica Mogherini on these important matters for the future of Europe”. Barnier’s responsibilities will include helping to prepare the Commission president’s contributions to the European Council’s work on defence policy. This will be a voluntary, part-time position, but one that signals a return to the corridors of power for the French politician, who served as Commissioner under Prodi (1999-2004) and Barroso II (2010-2014). His nomination, with the dust still settling after the terrorist attacks in Copenhagen and Paris, indicates the new approach the EU intends to take towards security. “When this Commission took office, we said that we need to work on a stronger Europe when it comes to security and defence matters. Yes, Europe is chiefly a ‘soft power’. But even the strongest soft powers cannot make do in the long run without at least some integrated defence capacities,” Juncker continued. 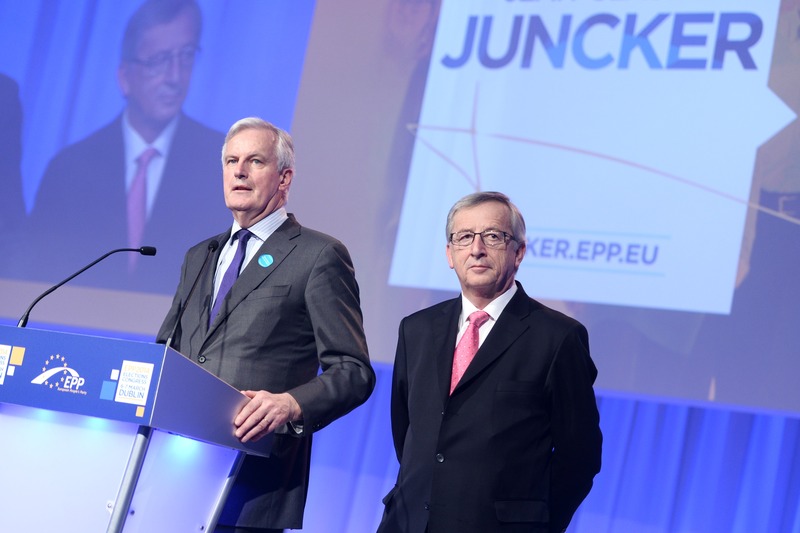 Michel Barnier stood against Jean-Claude Juncker and the former Latvian Prime Minister Valdis Dombrovskis for the EPP nomination for the Commission presidency. At the EPP congress in Dublin ahead of the election of the new Commission, the Frenchman found himself Juncker’s only opponent, as Dombrovskis withdrew from the race and announced his support for the Luxembourger, who won by 382 votes to 245. After leaving the European Commission, Michel Barnier lost out to the MP Laurent Wauquiez for the UMP nomination in the Rhône-Alpes-Auvergne regional elections. welcome back Mr Barnier . Well ! Then what about one strong E.U. Army for defense ? Or rise the European Battle-group to 500x higher equal to 1.500.000 man-powers ! All National public security services eligible to act at E.U. level whenever possible ! Do you really think the French & British are just going to hand over their secret services, military & Nuclear weapons to the same people who have destroyed the economies of most of Europe ? We will keep ours thanks, we will need them when your EU nightmare collapses. Keep dreaming, its rather amusing. I totally agree. The possibility to have a common military was formally laid down in Article 42 of the Treaty on European Union upon the entry into force of the Treaty of lisbon. Considering it would be a long process i suggest to form a kind of NATO only between EU states. Therefore Europe should be represented in NATO as a single military alliance by the European Commission. Britain may have another opt-out. Thank you but we do not need your little ‘European’ army or your permission to ‘opt’ out of it. So there will be no Brit’s or French in your EU army which basically means it will be the Wehrmacht, wasn’t your Eu created to stop that ? You crazy EU federalists have very short memories. Considering it would be a long process for thuggest to form a kind of NATO only between EU states. Therefore Europe should be represented in NATO as a single military alliance by the European Commission. Britain may have another opt-out. So the unelected President Juncker brings in his pal to the select gang. Another federalist fanatic without a single vote to his name, I wonder if Junckers Parliament will have one of their pointless Q&A’s with him ?